Google showcased how the „dark mode“ option on mobile operating systems and apps uses less power and drains battery less quickly. 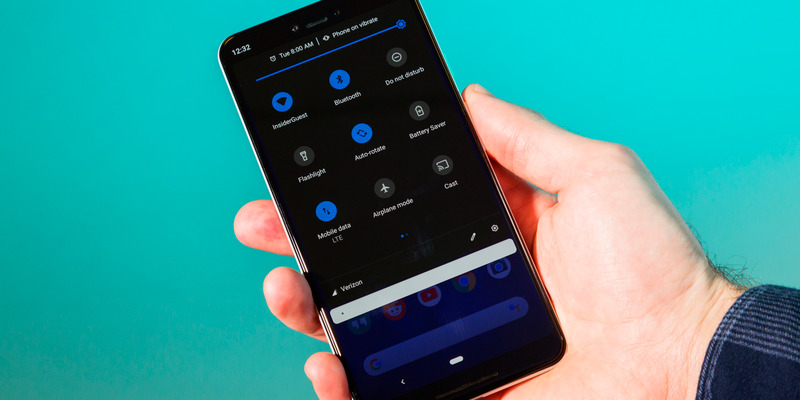 Google backed up the battery life benefits of „dark mode“ on operating systems and apps in a presentation during the company’s Android Dev Summit on Thursday. 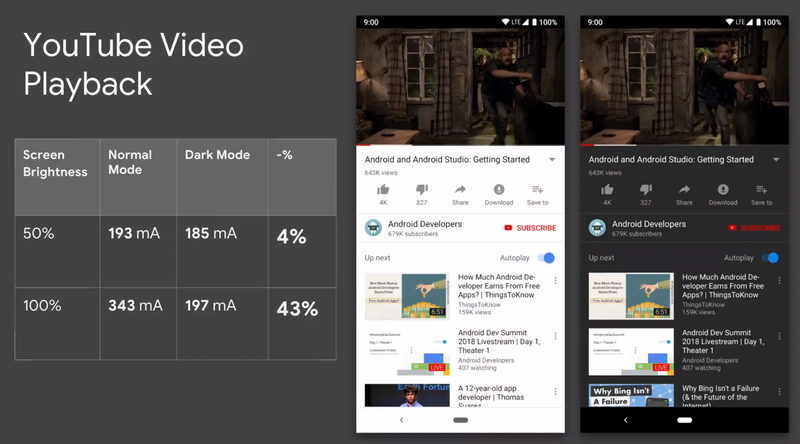 In one piece of data, Google showed how dark mode can use 43% less power at full brightness than „normal mode“ in the YouTube app, which uses a lot of white. The battery-saving effects of dark modes are also more apparent on OLED displays, which most top smartphones use these days, compared to more traditional LCD displays. OLED displays don’t shine their pixels when displaying the color black. In essence, pixels displaying the color black are actually turned off and are using very little power — if any. LCD displays, on the other hand, have a backlight that’s always shining, even when displaying the color black.